True perfume creators are very often born not knowing 0f their talent for scents. They are often brought to it via other journeys they have taken. 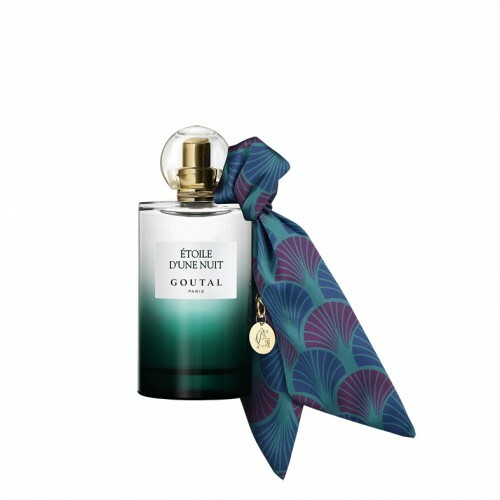 Take, for example, Annick Goutal, who started the brand now known as Goutal Paris, one of the first-EVER niche fragrance brands to appear–it became a leading light in this world. This inspirational woman was at first dreaming of becoming a professional pianist but realised she wanted to keep piano as a hobby after winning her first prize at the Versailles Conservator. She then lived a lot of adventures: she was an au pair girl, a model in London, came back to Paris, opened an antique shop, had her daughter Camille (and another later) and fell in love with fragrances after helping a friend launch a beauty store. So this adventurous, brave woman travelled again, to Grasse this time, and studied how to become a perfumer there for four years. In 1979, she officially became a perfumer. She opened her first shop, named after her own name, on rue de Bellechasse in Paris in 1981, and with this came her first released fragrance: L’eau d’Hadrien. Annick Goutal never gave up her love for music and wonderfully combined her passion for both fragrances and piano by creating exquisite perfumes as she would have composed a new piano melody. In the eighties, Rue De Bellechasse was the meeting place for the intellectuals and journalists. They consequently became her first customer base. Annick Goutal was a reckless woman, at the opposite of the trends of the time that were celebrating heady scents and classical perfumery. Her fragrances have always been created to ‘write stories on her customers’ skins,’ and that is what made her seduce people very quickly. By the 1990s, the luxury niche brand spread worldwide, and its fragrances were at the top five leading department stores. In 1999, after a long fight against cancer, Annick Goutal sadly passed away, leaving her two daughters and muses motherless. Fortunately for the life of the brand, the older one, Camille, took over the reins, renaming it Goutal Paris. Her first fragrance, ‘Aromatique Majeur’, was released in 1999. Inspired by her amazing mother who gave her a love for complex storytelling fragrances, Camille gave a new life to the House with the help of nose Isabelle Doyen (who worked with Annick Goutal since 1985). However, her fragrances are usually less personal or sentimental than her mother’s, even if her main inspirations are childhood memories and travels. Since Camille took charge of Goutal Paris, she expanded its product ranges with candles, beauty products, and home accessories. Two of the three fragrances from her newest collection called Les Oiseaux De Nuit (Birds Of The Night) are coupled with perfumed body creams of the same scent. Les Oiseaux De Nuit was created in 2016 as a celebration of Paris’ nights out, but also as a homage to Annick Goutal. The collection was created in collaboration with young perfumer Mathieu Nardin from Grasse. Each fragrance from Les Oiseaux De Nuit was made to have its own story, its own very special night out, that is written like a poem on the website. Etoile d’une Nuit is the latest perfume from the collection. It was released 18th March in Harrods and 1st April nationwide. This really elegant fragrance tells the story of a woman preparing herself before going out. A spritz of Etoile d’une Nuit is a spritz of makeup powder, lipstick and leather. It is a very personal story that Camille offers us here, inspired by the scent of her mother’s luxurious leather makeup bag. She created it to let every woman wearing it become eye-catching and create her own story with it. Etoile d’une Nuit is composed of the refined scent of iris, sweet and intense rose, gourmand raspberry and leather. Iris, with its powdery note, is the scent reminding of makeup powders, while rose and raspberry are reminiscent of our favorite lipstick. The flask of the fragrance is a deep green vial that has been adorned with a satin scarf (a foulard in French) with art deco motifs. As with every fragrance of the collection, the bottle is enhanced with the initials of the Goutal Paris House on a small medallion that was thought to remind people of glasses of champagne clinking while touching. This magical perfume is all about elegance, something that is even reinforced by the collaboration between the House and Maison Fabre (a luxury gloves manufacturer) to create beautiful leather Etoile d’une Nuit scented gloves. Imagination, elegance and luxury: this fabulous scent was made for the stars. Nuits Et Confidences, the second fragrance released from Les Oiseaux De Nuit, was also a homage to Annick Goutal. The exquisite perfume was created this time to celebrate her first steps into the perfume industry. Indeed, Nuits Et Confidences tells the story of a woman preparing herself for a vintage jazz and art deco atmosphere night out, in the company of artists and intellectuals, Annick Goutal’s first customer base. It is a deep and sensual fragrance that evokes the curiosity and excitation felt before going to a fabulous vintage night out. Nuits Et Confidences starts powerfully with the sparkling scent of bergamot, coupled with full-bodied pepper. These warm ingredients make it as voluptuous and mysterious as the voice of a jazz singer. It then goes oriental with the woody scent of frankincense and warm tonka bean. After listening to wonderful jazz music, you are then invited to travel into your senses and dream about all the beauties that this charming night out has to offer to you. This invitation is reinforced with the background notes composed of precious vanilla–so celebrated for its sweet and spicy scent that makes heads turn–and white musk, known for having an aphrodisiac scent. Seduction and travel into senses are at the heart of it, which is why the bottle of the fragrance has a gradient blue colour, reminiscent of the Milky Way, of which secrets are one of the greatest inspirations for so many artists. The House adorned the delicate vial with a silky and creased indigo pompom. Before dreaming about makeup powders, leather bags and art deco nights out, the Goutal Paris woman was preparing herself for another promising night in Paris with Tenue De Soirée. This bold fragrance is the one that started the collection and was created in 2016. Camille meant it to be a ‘perfume of liberty.’ The woman who spritzes it on her skin before going out would see her elegance and charisma increased at their maximum. To make this happen, the two perfumers decided to make Tenue De Soirée a modern and chypre perfume (chypre perfumes are characterized by a common accord composed of citrus top notes, cistus labdnanum heart notes and base notes derived from oak moss). That is why the magical scent was made with bergamot and blackcurrant as top notes, both bringing a delicate tingling and acidic note. Blackcurrant is also a romantic and sensual fruit, a promising one for a night where every wonder could happen. The middle notes are iris, jasmine and rose, three flowers that are often seen as romantic symbols. The iris, with its powdery scent, is a reminder of the delicate touch of makeup powder the woman puts on her face before going out. Jasmine has a warm, sweet but also wild scent, reinforced by the suave and intense scent of rose. For base notes the two perfumers used modern and chypre patchouli, sweet and gourmand caramel, leather with its intense, woody and smokey scent, and finally, white musk. One spritz of Tenue De Soirée and a little touch of makeup is all you need to become a femme fatale and have all eyes on you during your special night in Paris. To reinforce the idea behind the perfume, the vial has been coloured with gradient purple, a reminder of the sky at dusk, enhanced by a purple pompom representing an inspiration from vintage compacts–just a simple design that tells all the story of the magical fragrance. With the Les Oiseaux De Nuit collection, Camille Goutal makes us travel into the most amazing nights out in Paris at the heart of the French capital and proves that she is the worthy successor of her mother. It is also the first and only (at the moment) collection of personal fragrances she has ever released. With all the lovely tributes to Annick Goutal, the challenge is definitely a success as well as an exquisite signature of the many possible nights out in the city of love, Paris.